This sweet wedding was sent to us by Photography by Linda (one of our lovely sponsors!). I love the photos that the Bride & Groom took in downtown Newburyport before heading to their reception at the Reading Room in York, Maine. And the photos on the beach? Adorable! And how cute are the invitations created by Elaine at Paper Potpourri (the bride’s mom!). I love seeing photos like this – you can tell that this wedding was all about the love! I love the Boston Harbor Hotel… I think I may have mentioned that before. The location, the service – all wonderful, but really, what makes me love it the most is that it is such a verstile venue! It houses one of the only ballrooms in Boston that really doesn’t feel like a ballroom. The Wharf Room is truly a blank canvas, and well, the windows overlooking the harbor (and John Henry’s boat) don’t hurt either. A blank canvas such as the Wharf Room is the perfect venue for a couple looking to transform a space to fit them as a couple. The perfect spot for Erin and Darren’s Paris themed wedding! These two incorporated some details that really shouldn’t be missed. She’s from Boston, he’s from London, they got engaged in Paris (on a boat cruising the River Siene, while passing the Eiffel Tower, swoon! ), and they made all of that fit into their wedding seamlessly! LOVE it. And, oh, the photos! Loving the photos, sent to us by Allegro Photography. A little bit fashion, a little bit classic, I’ll be willing to bet that Erin and Darren are quite happy with these little keepsakes! Don’t you love this French Wedding in Boston? I do!!! This entry was posted in BLOGGING THE BRIDE. One of my favorite trends in color is what brides have been doing with their ‘maid’s dresses lately. Mixing and matching colors and styles of your girls dresses can add so much fun visual interest (and keep every one happy at the same time!). Lucky for you, I’m not the only one who’s nuts for this trend right now. Hop on over to some of my favorite reads and see what I’m talking about! Happy, happy weekend everyone! Stay warm and cozy!! This entry was posted in COLOR PALETTES. Another trend I have been loving lately is gray! Done the right way, gray is nothing like the boring, dull color I’ve always thought it was. This trend works best when combining gray with more girly tones like aubergine, sky blue or… rose pink! How pretty. I would love to see this palette in the gorgeously modern Ritz-Carlton Boston Common. I feel like the combination of the masculine gray and girly rose fits so well with the mix of modern and traditional luxury that you’ll find at the Ritz. I think when most people think of the Ritz, they expect the space to be very ornate and traditional, but it’s not! It’s a really wonderful blank canvas space. Spotlight On… Brian Phillips Photography! Brian and Maria Phillips of Brian Phillips Photography are just wonderful. Wonderful people, wonderful to work with, wonderful photographers… can’t ask for much more than that! I’m so happy to help you all to get to know them just a little bit better through this Q&A session! They are one of Our Favorites after all! 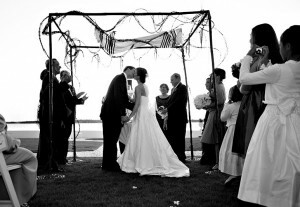 Boston Hearts Weddings: What is the most important thing you want brides to know about you & your company? Brian Phillips Photography: Brian and Maria work together to make each moment with their clients spectacular, stress-free and memorable. BHW: How would you describe your style? BPP: BRIAN PHILLIPS photography specializes in a blend of documentary-style wedding photography with an artistic approach. This allows for a wedding to be photographed as it happens, naturally before the lens. To achieve images that are organic in nature, Brian and Maria (who shoots alongside Brian at every wedding) take on the role of observers, waiting with watchful eyes to capture all the beauty and emotion of the day. They also bring their fashion editorial expertise to every wedding to further enhance the day’s coverage. BHW: What is your favorite venue to work at? Why? BPP: Gosh, so many great places in Boston: Four Seasons & Taj since the Gardens and Newbury Street are a short walk away. The Boston Harbor Hotel, love the water and you also have the city right there. BHW: Do you have any tips for brides who are currently researching/ working on hiring a vendor in your field? BPP: We highly recommend that Bride and Grooms think about doing their group shots before their ceremony. That gives us more time to be creative and don’t have to rush and they also get to enjoy their cocktail hour, friends and family. BHW: What do you love most about your job/working in the wedding industry? BPP: We get to capture one of the most important and happy days in a couple’s and their family’s lives. What more can you ask for? BHW: What is your favorite part of a wedding day? BPP: When the Groom sees the Bride for the first time. The excitement in both of their eyes!!! This entry was posted in EXPERT TIPS. 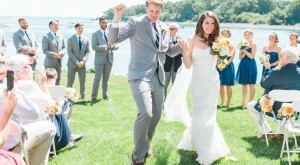 We all know that J.Crew is a pretty fabulous source for wedding attire. They have a little something for everyone, the bride, the maids, the men, they’re all fabulously covered. However, what you may NOT already know is that the J.Crew in the Atrium Mall has just opened a Wedding Boutique inside their store! I mean, the wedding gowns have always looked completely gorge online, but making such a huge decision based on something you have only seen in photos is a tough call. No longer a problem! Stop by the Atrium Mall location in Chestnut Hill to see the gorgeous gowns (and maids dresses!) in person, you won’t be sorry! Also stay tuned for any upcoming info on in-store trunk shows. They’ll all be posted here! 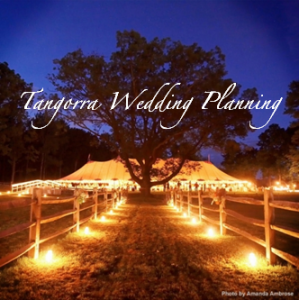 Welcome to your chicest source for all things weddings in and around Boston. There are so many fantastic resources available and we want to show you all of them! We will explore our favorite vendors, venues and every little bit of gorgeous inspiration out there to help make your wedding day fabulous. Enjoy!